Lisa Naumu is a highly skilled Pickleball professional competitor. As a result, she possesses a high level of sportsmanship on and off the court. Lisa is also very respectful of the game, her students, opponents, officials, sponsors, and spectators. 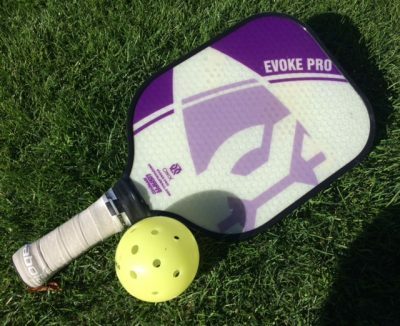 She professionally manages her equipment, promoting pickleball through her actions and words. Equally important, she also regularly competes at a national level and achieves exceptional results. Competing in the Australian Open main draw women’s doubles. She currently has 26 National USTA titles including 3 Gold balls with her son, Miles. Lisa Naumu also played for a club in Germany a few summers and enjoyed traveling to Japan twice for soft tennis. Played junior tennis in San Diego and Southern California. Played professional tennis on WTA women’s tour. Ranked in women’s doubles. She has 26 USTA National titles in Singles, Doubles, and Mixed. Won 3 Gold balls with her son, Miles. Her son, Miles recently graduated from UCSB and is currently playing the ITF Professional Men’s tennis circuit. 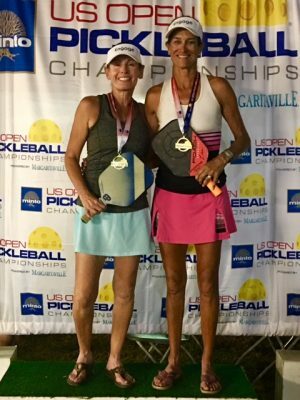 Lisa Naumu switched to pickleball from tennis because her heart was no longer in the tennis game. Overall, Pickleball filled the void of conditioning, excitement, competition, and new friendships. 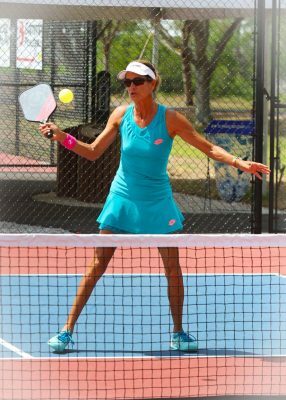 In 2017 Lisa Naumu won a Gold Medal Award in the Senior Pro Open Women’s Doubles 50+, Senior Open Mixed Doubles, age 55+, Senior Pro Open Women’s Singles 50+ and a Silver Medal Award in the Senior Women’s Doubles, age 50+. In addition to playing pickleball on a professional level, Lisa Naumu is also a certified IPTPA professional pickleball coach. This certification, like tennis, has three parts: oral teaching, skills test on the court, and a written online test. Lisa offers a variety of clinics and lessons to the public. Check her Calendar of events to see when she is competing near you to book a session or clinic with your friends. Lisa’s home base is in Indian Wells, California. 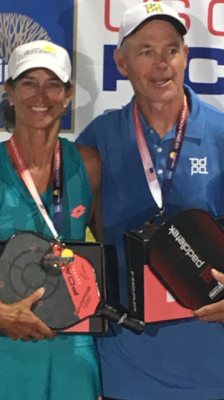 Lisa Naumu presently holds a sponsorship contract with Onix Pickleball, a US-based manufacturer of Pickleball Paddles and equipment.